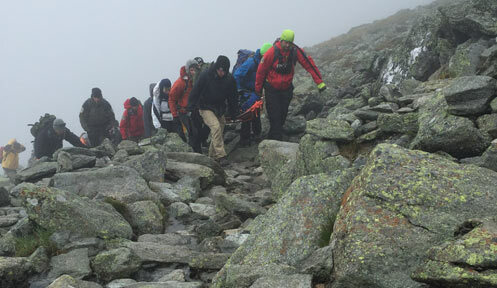 Why is there a crisis in funding wilderness search and rescue activities in the Granite State? The New Hampshire Fish and Game Department is mandated by current law to conduct all search and rescue missions that occur within the woodlands and waterways of our state. For over six decades now, Fish and Game has met these mandated responsibilities. In 1989, a legislated funding mechanism to support this effort was created and today is still the only source of mandated financial support to meet the ever-growing challenge of providing search and rescue. This funding mechanism is a $1.00 fee collected for each boat, snow machine and OHRV registered in New Hampshire, which gets deposited into the Search and Rescue Fund. This funding source has remained unchanged for the past 24 years, while the cost of conducting these missions has steadily increased each year. Each year Fish and Game must cover any costs above and beyond what is in the Search and Rescue Fund with revenue from hunting and fishing license fees in the Fish and Game Fund. From 2011-2015, Search and Rescue expenditures have exceeded annual revenues by more than $200,000. For several legislative sessions, New Hampshire Fish and Game has made a dozen attempts to request legislation in an effort to meet the fast-growing deficit occurring each year; all of these have failed. As a consequence of the financial shortfall in the Search and Rescue Fund, Fish and Game Law Enforcement has been forced to sacrifice Conservation Officer positions, equipment, training and other safety-related programs in an effort to redirect these funds to cover the rising cost of rescues. In 2008, a law passed allowing Fish and Game to request reimbursement from persons determined to be negligent in creating a situation where a rescue was required. This law was created to provide the means to recoup the cost of the resources expended in the execution of avoidable missions. In reality, this law has done little to address the large shortfall Fish and Game has experienced each year in the Search and Rescue Fund. The success rate for collecting on such incidents averages about 64%, and only a handful of rescues each year fall into this category. As a result, the sportsmen and women of New Hampshire have continued to financially support search and rescue activities in this state with their license dollars, while requiring very few of these services. Over the past seven fiscal years, the New Hampshire Fish and Game has conducted a total of 1,023 reportable Search and Rescue missions at a total cost of approximately $2.1 million. An average of 60% of all of these missions were rescues of hikers and climbers. Another 12% of searches were initiated for individuals who suffered from mental illness or were designated as walk-aways/runaways. Just 14% of all search and rescue missions were conducted for a combination of hunters, anglers, boaters and OHRV/ATV riders during this period, but it is these people – the hunters, anglers, boaters and OHRV users – who are paying 100 per cent of the costs for search and rescue missions. Clearly, the current system of financial support for search and rescue is unfairly being shouldered exclusively by sportsmen and women. Over the past six years, Fish and Game expenditures to meet the ever-growing demands of search and rescue in New Hampshire has averaged in excess of $300,000 annually, while the Search and Rescue Fund has averaged $195,663. The resulting deficit highlights the inadequate funding sources for a service that is essential for public safety and maintaining New Hampshire's tourism-based economy. "The Legislature may wish to consider expanding fees for funding search and rescue by requiring more user groups to pay into the search and rescue fund. Since hikers account for almost half of all search and rescue missions and costs, the legislature may wish to consider a method requiring hikers to contribute to search and rescue funding." 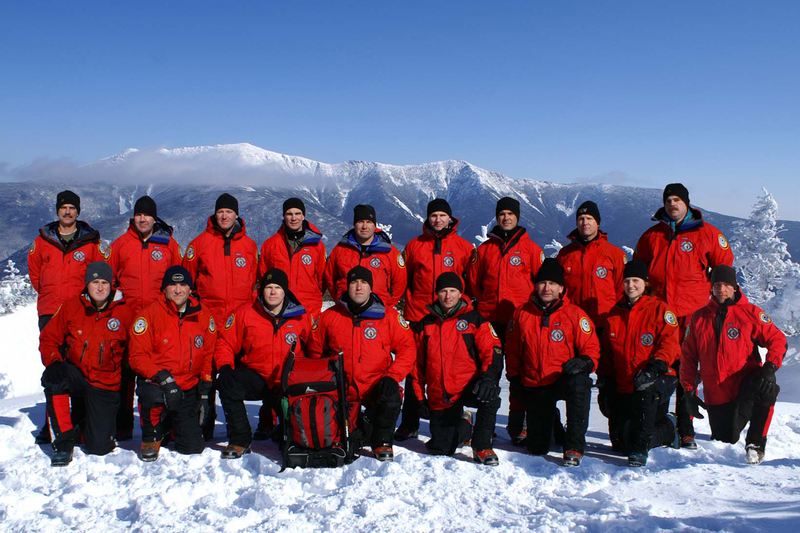 Based upon the findings of the 2008 Legislative Performance Audit and New Hampshire Fish and Game’s search and rescue data over multiple years, the facts confirm that hiking and climbing activities generate by far the greatest need for search and rescue services in New Hampshire. Legislation is urgently needed to achieve a more equitable method of funding search and rescue efforts, and in the process help the sportsmen and women who historically have been the sole supporters contributing towards these critical activities that the residents and visitors of New Hampshire rely upon. Over the past six years, NH Fish and Game completed a total of 1,023 reportable Search and Rescue (SAR) missions at a total cost to the Department of $2.1 million. An average of 180 missions were conducted each year. The average cost of each mission was $2,100. 609 missions were required for hikers and climbers. This represents approximately 60% of all SAR missions. 138 SAR missions were required for hunters, anglers, boaters and OHRV riders, representing approximately 14% of all SAR missions. 116 missions were searches for walk-aways/runaways. This represents about 12% of all SAR missions. 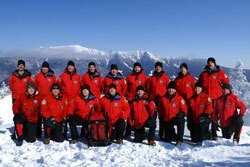 429 SAR missions occurred within the White Mountain National Forest. That means that approximately 43% of all SAR missions within the past six years took place on National Forest lands. Since FY 08, Fish and Game has averaged a deficit in the Search and Rescue Account totaling $143,304 each year. Approximate revenue for each of the past eight years in the SAR account (generated by a $1.00 fee added to every boat, OHRV and snow machine registration) averages $195,663. Fish and Game annual Search and Rescue expenditures for the past eight years, which must be paid from that account, averaged a total of $339,848. To learn more about NH Fish and Game Search and Rescue funding, read the Funding FAQs.